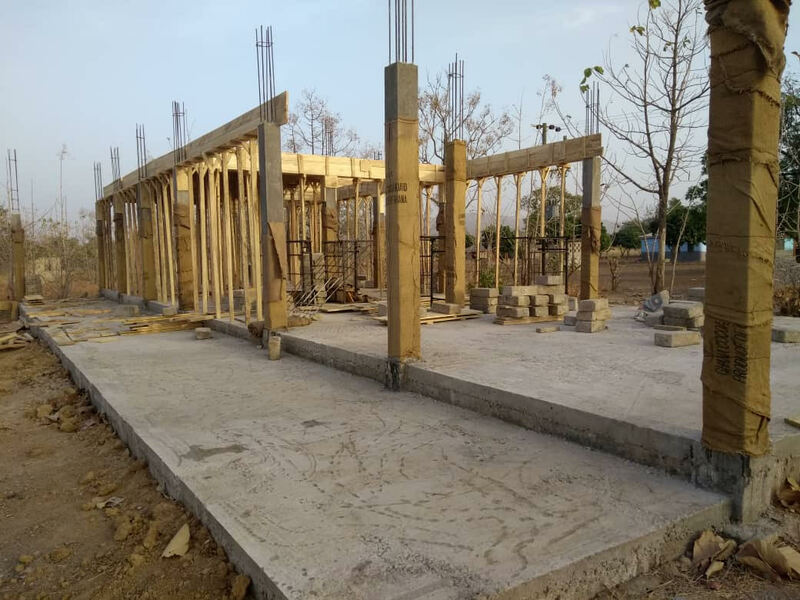 FOUR NEW CLASSROOMS UNDER CONSTRUCTION! Our donors have now made the first block of four first full-sized, complete classrooms a reality. We currently are constructing the first of these rooms for our fall term. These classrooms, along with an excellent new curriculum and other amenities (including playground equipment, see Stories From The Village), really have our students and the whole community excited! Our current fundraising goal for scholarships and the newly opened, Oasis Pathways Academy, is $15,000. See the Goal Thermometer below to see how far we have come! We have formed an international family with the men, women and children of the Talensi tribe in Ghana. Love, respect and commitment has developed over the past 17 years. We see positive sustained results in the education, the well being of the children and in village life. There is always more to do... That keeps us returning and serving. 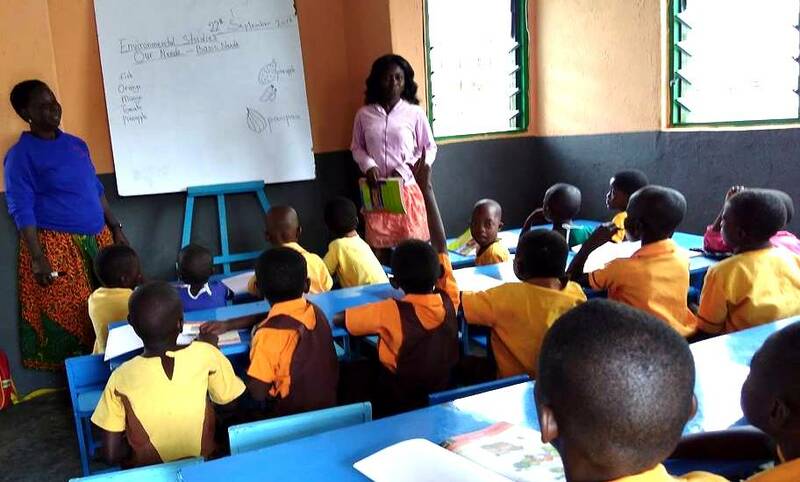 Volunteer at Oasis Pathways Academy in Ghana. We have partnered with the Talensi community, (Peal Deng NGO) to start a small village school this year, Oasis Pathways Academy. We now have a nursery, a kindergarten1, primary 1, 3 and 4 with five amazing teachers. Your donations provide scholarships, school supplies and hot meals for these village children. We invite you to visit our "STORIES FROM THE VILLAGE" blog section to get a feel for everyday life in the village and the real difference we are making. Thanks for visiting here on the website.